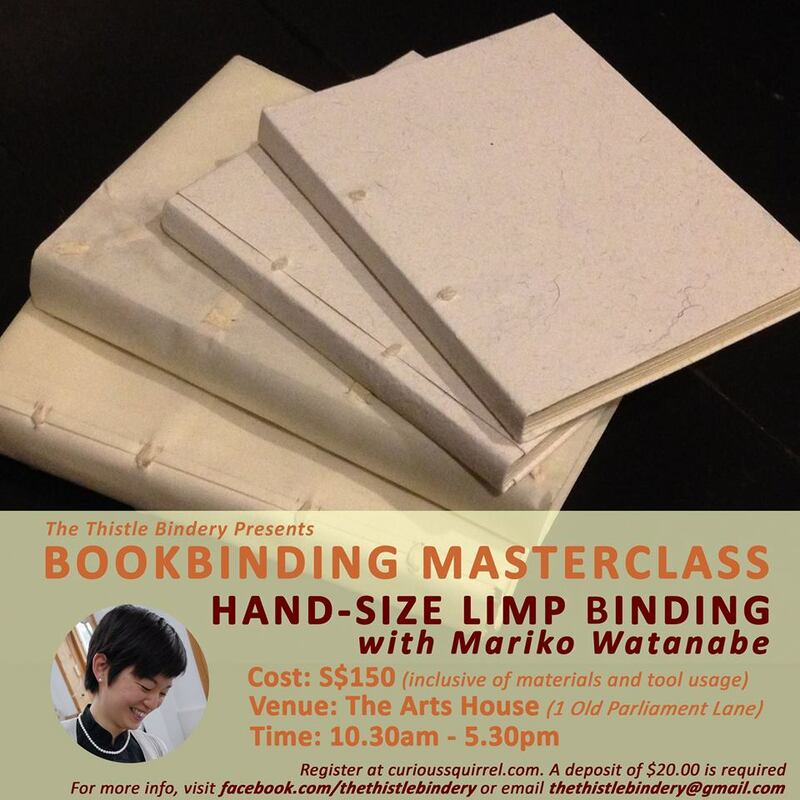 The inaugural workshop in the Bookbinding Masterclass Series introduced the Limp Binding technique. This technique has been used in Europe for centuries to protect books. Today, it is applied widely for conservation purposes. The Masterclass demostrated the possibilities of applying the technique creatively depending on the materials and ornamentation. The instructor Mariko Watanabe trained as a book and paper conservator at West Dean College in Sussex, UK. Her passion for bookbinding and book conservation started ten years ago and it led her to Edinburgh to study Book History and Traditional British Bookbinding Techniques. After two years in Edinburgh, she arrived in West Dean College where she spent two years learning about book and paper conservation. Apart from her conservation work, she continues to keep up with her skills and passion by making new books for friends, family and her own bookshelves.